Family considerations are paramount when deciding when – and if – to take a career break. In fact, spending more time with family is often the primary reason people choose to take a career break at all. Whether you leave work to take care of aging parents, look after an ill relative or travel around the world with teenagers, taking a career break for family reasons is something you'll never regret. The majority of career breaks for family reasons involve mothers who take extended time off following maternity leave. Often this is for several years or more, after their statutory leave has ended. Nowadays, more and more fathers are following on this trend, especially as currently paternity leave in most cases is comparatively short. For many people, taking extra time off from work to be with the kids works out about the same as employing a childminder or nursery. Adoption is a life-changing event for a family. Helping a child adjust to a new environment, new surroundings and new routines takes time, and often it take longer for children to build relationships with adoptive parents than with natural parents, especially older children. Many organisations now recognise this and consider adoption leave to be as crucial to parent/child development as maternity or paternity leave. 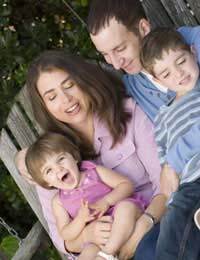 Traditionally, career breaks for family reasons have been associated with parenting young children. But research has found that increasingly they are being taken up for a myriad of other family-related reasons. Many people these days also take career breaks to care for aging parents or disabled relatives, choosing to look after themselves instead of employing someone else to do it for them, or putting them in a home. If you decide to move your parent(s) into your own home, a career break may just give you the time needed to help everyone adjust to a new way of living. Career break? Why not take the kids along? Taking time off to spend time with family members, recharge your batteries and see the world is an experience which both you and your children will always remember. For families with teenagers, a career break may be the last chance to travel together before they fly the nest. For young children, the opportunity to see the world is something that can lay the groundwork for lifetime choices. The key is to plan a slower pace than normal, as the more you pack in, the more stressful it will be. Living or travelling abroad and seeing other cultures first-hand is incredibly rewarding for people of all ages. A career break with the entire family is also a great way to keep in touch with relatives who live abroad, especially grandparents who may not be able to travel and visit you. Be honest with your employer about why you want the career break. Remember that many large companies have specific policies in place for those wanting career breaks, which include the guarantee of a job when you return, and there is no reason family reasons should not fit under this remit. If no policy is in place, talk to your boss – but make sure you get everything in writing. Tackle any potential problems before they occur. Taking a career break for family reasons gives you the chance to escape the rat race and improve your home life at the same time. If you have the luxury of taking a family career break to see the world, you'll find that this is more than just a family vacation, this is a whole new way of life. Do something extraordinary with your children. Do it now. Hi I already write my manager a letter for career break after my maternity my circumstances been change and I had an autism son its been more hard.it's been more two weeks still did not anything. He said he will get back to me he didn't.what should I do. You need to get back in touch with your employer and ask for a meeting to discuss this. Hi I already write my manager a letter for career break after my maternity my circumstances been change and I had an autism son its been more hard .it's been more two weeks still did not anything. He said he will get back to me he didn't.what should I do.